I'll admit that i am quite a shopper when im outside Denmark. I use all my money outside Denmark pretty much. And now that i have been in Berlin 4 times now, i though i could come with a few tips where to shop and what to think about, when you are in Berlin and want to spend some money. My personal favorite place to be in Berlin! There is always some kind og market here. When i was there the had a huge easter market with live music in the evening. But it does attract a lot of people and sadly also a lot of gypsies who will try to convince you that they are raising money for some charity for mute or deaf people. They normally go around in groups and spreads out in a small area and holds a sign up for you to read and sign. Anyway my favorite clothes store Primark. It is crazy cheap and they have something for everyone! Women, men and children. But it obvious! This store is stuffed with people and it hard to get around. I went there an afternoon and gave up but when i came the day after before noon there was very few people and i could spend too many money in there. Yet again! Another store worth visiting if you love technology or music is Saturn. A huge builing you cant oversee. If you can't find a speciel CD or game at home, you are sure that Saturn has it. They basiclly have all new gadget and i have bought everything from camara bags to headsets here. I normally write down a whole list of stuff i need to buy, before i'm going to Germany to find a Saturn. 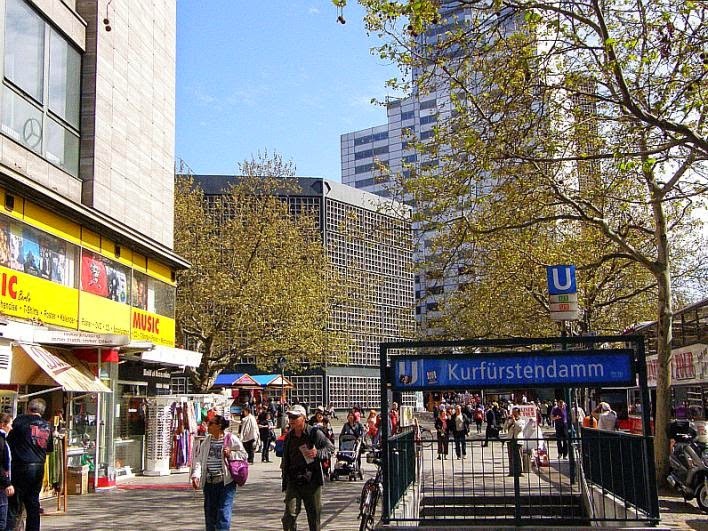 Alexa mall is just across the road (Otto-Braun Straße) from Alexander Platz. It's a really ugly mall (sorry) and i guess a architectural experiment? But it is a great place to shop as well! If you are a little geeky as me you may visit Elbenwald when you are there. They have some great merchandise from movies and books like Harry Potter, Lord of the Rings and Star Wars etc. In this Mall they have Media Markt which is alot like Saturn. Kurfürstendamm is kind of like Oxford Street in London if you have to compare with anything. It is a 3,5 km long shoppingstreet but if you are looking for something not too expensive, this is not really a place for you. It is quite a nice walk down the sidewalk and looking at the windows of the different design stores, but i can't simply afford it myself. Sure there is a few huge H&M placed on the street and an awesome old school music store CITY MUSIC there is fun to visit, but after the record store be turned around again and headed to Hard Rock Cafe which is also placed on Kurfürstendamm. But if you are at Kurfürstendamm i have a few things you could visit. At the end of Kurfürstendamm near Berlin ZOO there sometimes happen to be a smaller market like at AlexanderPlatz or some street artists doing something entertaining. If you go along Kantstraße (from the zoo crossing) you might find a few Chinese stores. It is Berlins "Chinatown" if you can call it that. These stores are really quaint and is stuffed with everything good from the eastern culture. I think i saw an antique Egyptian store as well. But the reason i went on this long walk down Kantstraße was to find the Japanese store! It is once again one of my geeky stores where you can buy japanese cartoons "mangas" (most are in german) and japanese candy. They do as well have clothes and a really cool kawaii foto booth! I was so tempted to take some cute pictures but it's not that fun alone. If you go the other was (from the zoo crossing) you end up at Tauentzienstraße. It is too a shopping street and here you find the extremly expensive but beautiful mall KaDeWe (Kaufhaus des Westens) and Lego store. If you turn down Passauer Straße next to KaDeWe there is a huge underground creative store called Idee. which is worth a visit, if you are in need of art supplies of any kind. Spandau was an old german city that got swallowed by the big city of Berlin but it remains a quite place and not so downtown-ish as the rest of Berlin. If you take the U-bahn to Altstadt Spandau (which is still in zone B) you can go around and enjoy a bit of shopping in what seems like a normal little german city. The rivers Havel and Spree meets here so there is also a opportunity to eat near the water. If you take the U-bahn to the endstation (one more stop from Altstadt Spandau) to Rathaus Spandau or follows the street Carl-Schurz-Straße you are again in the big city. In front of the City Hall (Bürgeramt Rathaus Spandau) there is often a market and it is known for this market actually. Not a long walk from the City Hall is the Spandau Arcaden. It was one of my favorite places because it is for normal people! (joke aside) Not all design stores and all that. 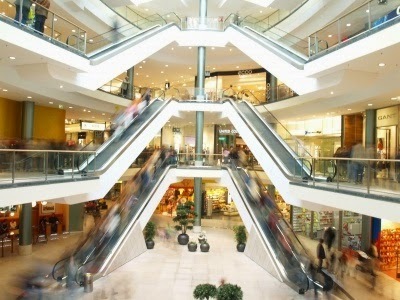 It is a really pretty mall and there is touch screens that can help you to find everything in there. If you are looking for clothes you get a whole list or if you want somthing to eat, it can show you where to find it. In engelish. When i was there they had some costume play going on and a group of stormtrooper were going around. It was really awesome! And if you go there, make sure to try the icecream at Eiscafe Fantasia-del-gelato. It is fantastic!!! For food you will need to find an Aldi, Lidl or Rewe ect. Personally i love Rewe the most because of their selection of non-milk products now that i am allergic and they are very kind to vegetarians as well. For everyday care and sanitary stuff you should search for DM, Schlecker or Müller. They are all very cheap and has a huge selection of shampoo, parfume and what ever you need like that. There is a DM on AlexanderPlatz. Berlin - you most try Balzac Coffee!